CAA is pleased to announce the recipients and finalists of the 2019 Awards for Distinction. Awardees this year were chosen from a pool of scholars, artists, teachers, and authors who are constantly pushing our understanding of the visual arts. The CAA Awards for Distinction are presented during Convocation at the CAA Annual Conference on Wednesday, February 13 at 6:00 PM at the New York Hilton Midtown. The CAA Annual Conference runs from February 13-16, 2019. Howardena Pindell. Courtesy the artist and Garth Greenan Gallery. 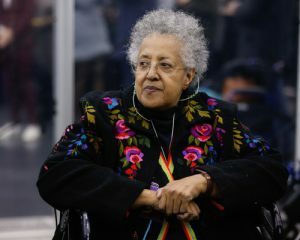 Among the winners this year is Howardena Pindell, recipient of the 2019 Distinguished Artist Award for Lifetime Achievement. Pindell studied painting at Boston University and received her MFA from Yale University. Since 1979, she has been a professor of painting and conceptual drawing at SUNY Stony Brook University. Pindell is the recipient of a Guggenheim Fellowship, two National Endowment for the Arts grants, a Joan Mitchell Foundation grant, and a Studio Museum in Harlem Artist Award. In 1990, CAA awarded her the Most Distinguished Body of Work or Performance Award. Pindell’s work is in the permanent collection of the Metropolitan Museum of Art, the Museum of Modern Art, the Whitney Museum of American Art, the Yale University Art Gallery, the Fogg Museum at Harvard University, and the Rhode Island School of Design Museum, among many others. 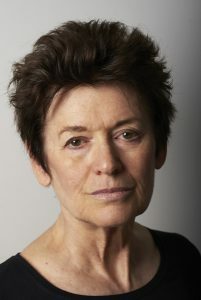 Ursula von Rydingsvard is the winner of the 2019 Artist Award for Distinguished Body of Work. Von Rydingsvard is best known for her unmistakable towering sculptures with mountainous topographic surfaces created from carved cedar wood. She has also explored other mediums in her work, such as bronze, paper, and resin. Over an artistic career spanning more than forty years, Von Rydingsvard’s work has been in solo exhibitions at Galerie Lelong, SCAD Museum of Art, the Philadelphia Museum of Art, and Dieu Donné. Her work has been included in numerous group exhibitions and is in the permanent collections of more than thirty museums. She is the recipient of a Lifetime Achievement Award from the International Sculpture Center, the Skowhegan Medal for Sculpture, a Joan Mitchell Foundation grant, and an Academy Award in Art from the American Academy of Arts and Letters, among other awards and recognitions. A major exhibition of her work, Ursula von Rydingsvard: The Contour of Feeling, was presented at the Fabric Workshop and Museum in Philadelphia (April 27 – August 26, 2018) and will travel to the National Museum of Women in the Arts in March 2019. The Award for Excellence in Diversity recognizes the work of an individual or organization in the visual arts whose commitment to inclusion in scholarship or practice stands out as groundbreaking and unifying. The winner of the Award for Excellence in Diversity for 2019 is the Chicano Studies Research Center at UCLA. The work of the center entails five distinct areas: a library, an academic press, collaborative research projects, public programs and community partnerships, and a grant and fellowship program. Each year, CAA awards two Distinguished Feminist Awards, one to a visual artist and one to a scholar. The two winners for 2019 are Senga Nengudi for visual artist, and Anna C. Chave for scholar. Learn about the juries that select the recipients of the CAA Awards for Distinction.